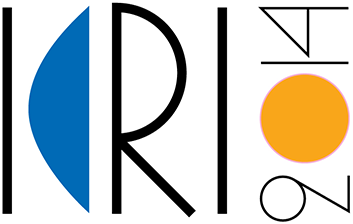 ICRI 2014 will take place at the Megaron Athens International Conference Center (MAICC) one of the most prominent conference venues in Athens, Greece. The address is Vassilissis Sofias & Kokkali, Athens 115 21. 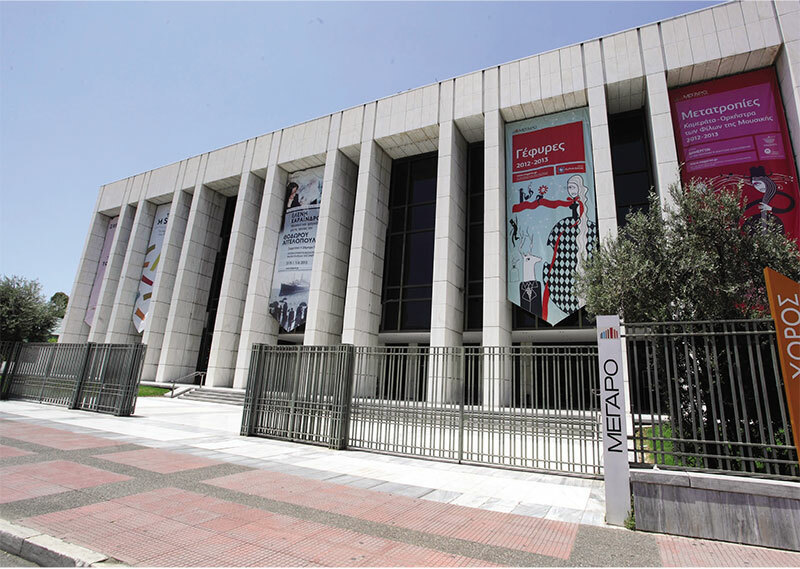 The MAICC entrance is on the left from the main entrance of the Megaron Athens Concert Hall (coordinates 37°58'49.49"N 23°45'15.22"E). See also Microsoft Bing map and the Google map in the Accommodation page. 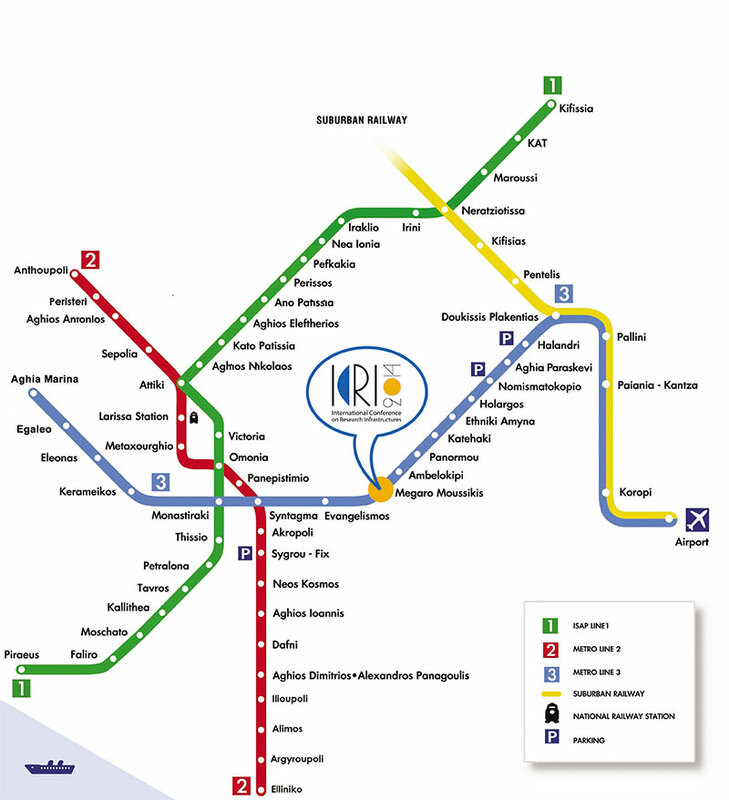 By Metro: There is direct access from the airport and the city centre to MAICC from the metro station Megaron Moussikis on metro line 3 (blue line). It runs every 30 minutes from the airport and the trip to the "Megaron Moussikis" takes approximately 30 minutes. From the airport take the blue line - Direction to Aghia Marina. By Taxi: Taxis are located outside the entrance of Athens International Airport. An average journey by taxi from the airport to the city centre should take approximately 40 minutes and costs about €35,00. During night (00:00-05:00) it costs €50,00 (tel: +30 210-645-7000, +30 210-994-3000, +30 210-645-9000). You can opt for the above flat rates (€35 and €50) when travelling to the inner center ring. These rates cover all extras, such as all tolls, extra luggage, etc. It is advisable to verify with the driver about this rate when you enter the taxi. All hotels and the meeting venue are inside the inner center ring. More information available here. By Bus: The express bus line X95 (Syntagma - International Airport) serves the Athens city centre. A ticket for the airport express line costs €5. Buses leave every 15’ between 05:30-22:30 and every 30’ during the remaining hours. Travel time varies with traffic, but normally it should be around 45 minutes to 1 hour (after 22:00, it is usually much faster). Bus schedules.